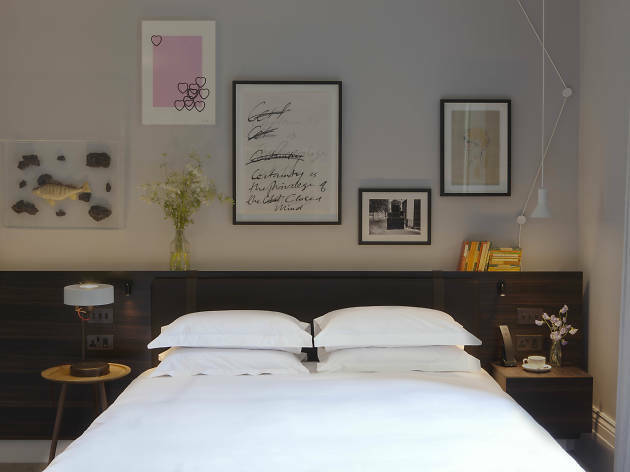 Style and culture go hand-in-hand at this award-winning new kid on the Notting Hill block. There’s something wonderful about a hotel that’s totally enamoured with the legacy of its neighbourhood. The name, the Laslett, is taken from the original founder of Notting Hill Carnival. A cabinet in the reception area is chock-full of curious antiques from the nearby Portobello Road. As for the interior design? It’s definitely a west London thing – classy, stylish and creative, complementing the five fancy Victorian townhouses it occupies. So thankfully, you won’t spot any posters of Hugh Grant standing awkwardly next to a beautiful, gigantic face of Julia Roberts in reference to that 1999 film here. But yes, this luxurious boutique is damn proud of its roots, making it the ideal resting spot for those who want to feel inspired and right at home. Of course, red carpet treatment is the standard, given the postcode. 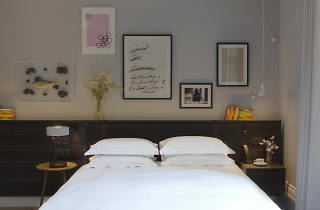 The Laslett’s spacious and peaceful rooms promise cushy beds, stacks of Penguin books for bedtime reading, fast and free wifi, loads of plug sockets, plus Neal’s Yard products in the glossy bathroom. And get this: there’s even a complimentary mobile phone you can take with you and make international calls – for nada. The only other thing I could’ve done with was a kettle for a cuppa, though the prompt room service had hot beverages covered. Then there’s the excellent area, if good travel links, quality shops and cultural hotspots are on the want list. But even if you don’t fancy venturing far, at least the Laslett’s got a little library with creative books galore, and The Henderson bar-slash-restaurant. It’s a bit on the tiny side, but looks much better in the morning when it’s offering a generous continental breakfast spread – just one of the many highlights that makes staying at The Laslett so utterly glorious. If you take a stroll down Portobello Road, grab a homemade tipple in the bright and cheerful The Sun in Splendour – it’s the oldest pub in the area and a fave with the locals. *5 for the decor and ambiance.. this hotel has a lovely bar which serves cocktails and classics alike. If you enjoy elegant surroundings with light music in the background then this is the place for you. Cocktails are all roughly £13 and under but no less than £11. They make a really good old fashioned and their wines are of a good quality and the staff are lovely!!!!! Defo my new local spot.